Splyce has made a name in the Europe for coming up with creative strategies. A lot of that has to do with the players they have had over the years. From former support Raymond “Kasing” Tsang to current jungler Andrei “Xerxe” Dragomir, they have a tendency to bust out all sorts of pocket picks. But the team took it to another level in the second round of the LEC playoffs on Friday. They faced a Fnatic squad that looked like one of the best in the region, and they were big underdogs. So they decided to get really spicy with Zoe and Veigar in the bot lane. No, we didn’t go back in time to the summer of 2018 when non-conventional bot lanes were all the rage. For the most part, bot lane comps have been standard with a whole range of marksman in the meta. And it’s not like Splyce bot laner Kasper “Kobbe” Kobberup is unfamiliar with these champions; his most-played champions include the likes of Caitlin, Jhin, and Ezreal, which are pretty standard. 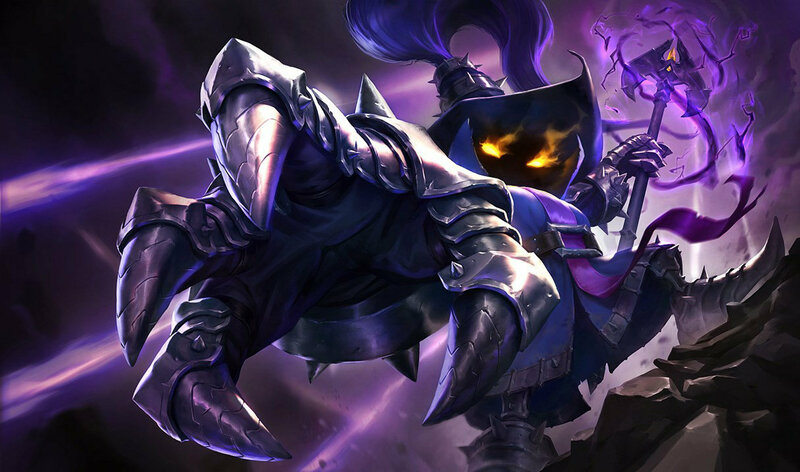 We got a glimpse of the madness last week when Kobbe pulled out bot lane Vel’Koz against SK Gaming. But that was a matchup Splyce were expected to win. He wouldn’t dare do that against Martin “Rekkles” Larsson and Fnatic, would he? Any notion that Splyce would play standard was dispelled in the first game when he locked in a bot lane Zoe. And it was an absolute disgrace. He had no pressure in the face of Rekkles’ Sivir, which allowed Fnatic to farm into the late game, when their team comp took over. Kobbe played more standard in game two, notching a win on Tristana. But after another loss, he got even crazier on match point, locking Veigar to everyone’s surprise. But in a totally predictable move, Fnatic punished his wonky champion with superior execution. Kobbe thought he had a three-vs-two in the bot lane, but Fnatic easily turned it around for three kills to zero. For Fnatic fans, it was reminiscent of how the team found itself last summer with Gabriël “Bwipo” Rau temporarily playing bot lane as the team juggled two junglers through its lineup. Fnatic had some mistakes that made the game seem closer that it was. In key fights, though, Kobbe’s Veigar was too busy running away from fights while Rekkles pressed forward on Sivir, his favorite champion. And that’s the weird part about this series: It was Kobbe who was the first-team ADC this split, not Rekkles. But in a match that should have been between equals, Fnatic put Rekkles on comfort while Kobbe was reaching for answers. It felt like Splyce were trying to dodge the direct matchup with Rekkles with these drafts. Even that Tristana game, they had Kobbe march to top lane at level one and execute lane swap—that kind of worked—to avoid having to lane toe-to-toe against Rekkles. That’s a dangerous game to play in the playoffs. Yes, part of Splyce’s identity is strange champion picks. But that’s not how they succeeded the whole split with Kobbe. In this match, they blinked first, and that’s why Fnatic are moving on with the victory.